In 2006, Brink was acquired by Thule, a large Swedish concern that specialises in making and marketing quality sports utilities. With this takeover, the name of the towbar changed from Brink to Thule. When Thule decided to once again completely focus on sports utilities in 2016, it distanced itself from the towbar department after eight years. From that time, the towbars were once again produced under the familiar Brink name. If you have purchased and mounted a towbar between 2006 and 2016, you have a Thule towbar. The towbar became even more well known, thanks to the Thule name. However, in reality, the Thule towbar was exactly the same as it was before and as it is now when they were made under the Brink flag. 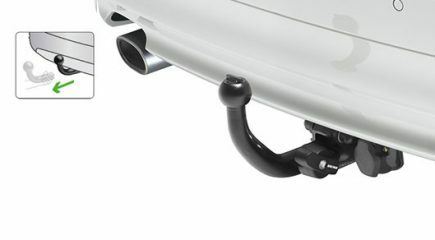 Therefore, if you have a Thule towbar, you can turn to us with any questions and service requests. Thule Group is global market leader in the field of products that allow people to safely, securely and stylishly transport valuable objects. Thule Group provides products in three market sectors, using the motto Active Life, Simplified: Outdoor&Bags (gear and carriers for bikes, water sports and winter sports, roof boxes, bike trailers, strollers, laptop and camera bags, backpacks, smartphone covers, etc. ), Towing (towbars) and Specialty (snow chains, toolboxes, etc.). Thule Group has about 2,900 employees in more than 45 production facilities and sales offices, spread out across the globe. The products are sold in 125 markets. You are looking for a towbar for your car but are unsure where to start your search. You’re in the right place. We are glad to talk to you about the available types of towbars, the advantages of one over the other and which will suit you best.